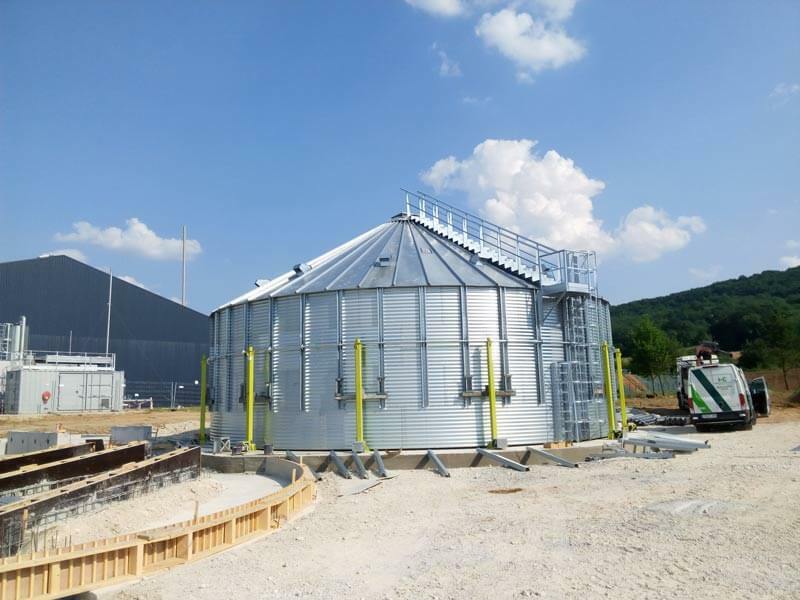 The new plant is located in Villeneuve-sur-Lot, France, and is destined for the storage of different types of cereals for biogas production. It’s a new turnkey project for the company “FONROCHE Biogaz” for the storage of 6,000 m3 in 2 silos model 15,28/13. Cereals will be unloaded by conveyors and elevators – also from Silos Córdoba – and brought to a crusher. The resulting product will undergo a process to produce biogas, which will be used as fuel for various industrial applications. The installation is also equipped with the electrical programming and monitoring system developed by our technical department. The facility is being installed in the town of Villeneuve-sur-Lot by the Silos Córdoba team, and is expected to be completed by mid-July. Silos Córdoba is spreading its presence in France, thanks to a large network of distributors in the country, a qualified assembly team and the trust of major companies such as FONROCHE Biogaz, which are strengthening the good position of our brand in Central Europe and with whom we hope to keep working on future projects.